The word plumber comes from the Latin word, Plumbum. In olden times, tradesmen working with lead were given the name Plumbarius. This was later shortened to Plumber. The word 'plumber' dates back to the Roman Empire. Roman roofs used lead in the conduits and drain pipes and some of them were covered in lead. Lead was also used for piping along with making baths. Thus, this word plumber has very ancient antecedents. A plumber is a trades person who specializes in installing and maintaining systems, which are used for potable water, sewage, and drainage systems. This term dates back to the Roman Empire. What Are the Benefits of Hiring A Plumber? Plumbing is not a child's play and not everyone can do it. 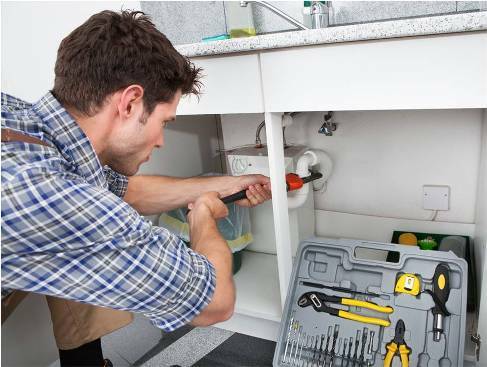 Plumbing involves repairing and installing of a variety of washers, taps, pipes, valves and a number of other things dealing with the conveyance of liquids across large distances. Therefore, it is very vital to hire professional plumbers for the same. It often happens that we try to sort out the plumbing issues in our houses on our own, but we end up creating a mess that ultimately lead to a higher level of damage. In such cases, a professional plumber is the only one who will come to your rescue. Remember that they are just a call away. Therefore, if you are looking for a long-term and economical solution for your plumbing problems, approach a licensed professional plumber. Some of them also provide services 24/7.